Muzakhraf typeface is a display Arabic font that celebrates the ornamental tradition that always existed in the practice of Arabic calligraphy. The typeface includes all Arabic letters in isolated forms, elegantly crafting each calligraphic letter with the traditional ornamental forms graphically surrounding it. 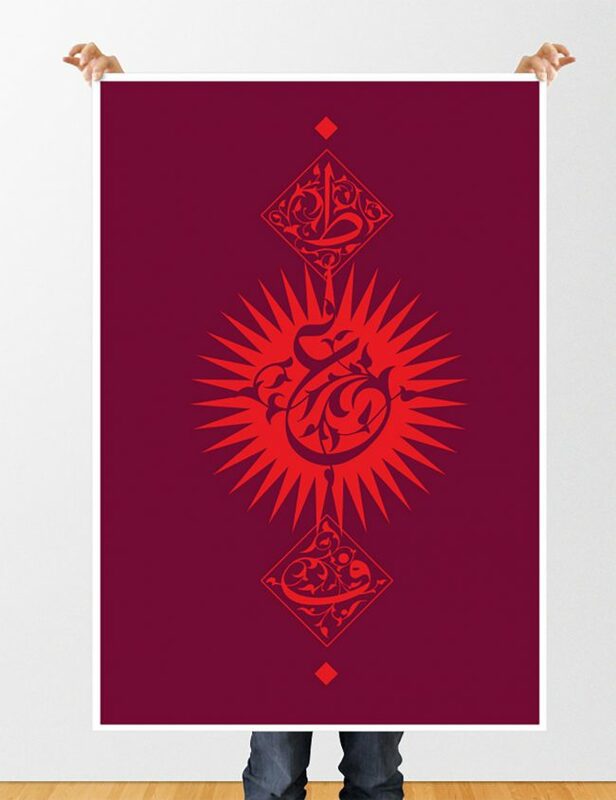 It is available in 6 different styles, each of them presenting the 29 Arabic letters and the numerals in a unique overall form. 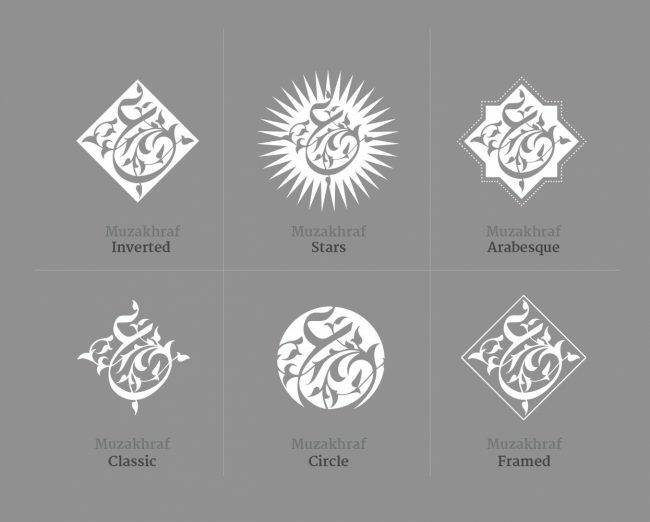 The 6 styles are Arabesque, Inverted, Classic, Circle, Framed and Stars. Muzakhraf typeface is a great addition for every designer’s library of Arabic fonts. Its unique display character and variety of style gives the user endless creative possibilities of using it in different media and contexts. Its rich calligraphic flavour makes it a typographic ingredient that can create many design solutions. 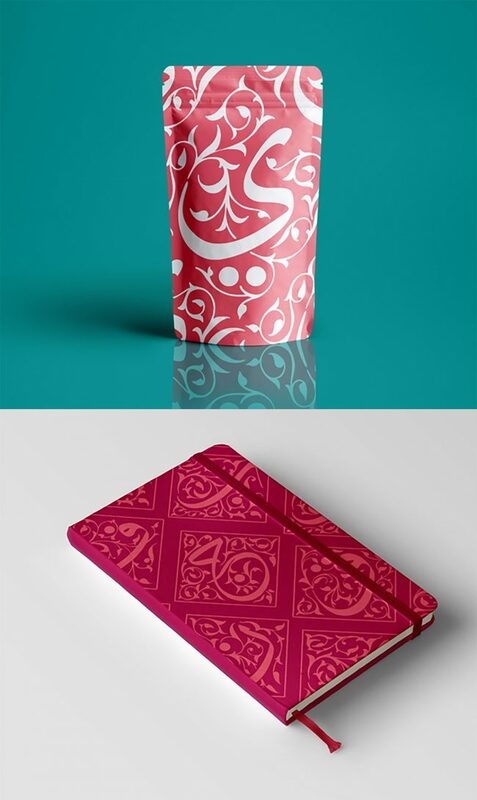 The typeface is ideal for creating logos with initials or based on specific letters such as Arabic monograms or wedding logos, but it is also very useful for use in branding or for creating packaging, graphic patterns, posters, tattoos or any visual language material that is based on Arabic typography. Muzakhraf typeface is a great font to use in motion graphics or animations as well as it provides a nice mix of traditional calligraphic material combined with a very graphic simple framing of it.